Even darkness can’t prevent us from getting a little fishing in. One of the scouts who braved the rain and slept in his shelter. Hammock + campfire + popcorn = chill. “Be Prepared” sometimes means having a unique way to haul your gear to the car. When fishing for scouts, it is important to use the correct bait. A little rain doesn’t stop us from having fun in camp. Our Eagle-candidate guest built a really-impressive shelter. Scouts from Troop 353 camped at Seton Scout Reservation in Greenwich, CT for Wilderness Survival Weekend. We had a lot of fun building shelters in and around the campsite, even though it rained a little. Scouts had the option to sleep in their shelter, and if they didn’t want to, they slept in their tents. Several scouts finished the Wilderness Survival merit badge. Thanks to Mr. C for the donuts! Scouts from Troop 353, as part of an Eagle service project organized by David, held a furniture drive with FurnitureShareHouse.org. Scouts collected a truckload of furniture and household items that will go to help needy families in our community. As part of an Eagle Scout service project organized by Valeriy, scouts from Troop 353 replaced the ceiling tiles at the headquarters of the Eastchester Community Action Partnership. On May 12th, 2014, Westchester-Putnam Council, BSA had their annual recognition dinner with the primary billing being the Court of Honor for the award of Silver Beaver for adult volunteers that have made exceptional council-wide contributions over time. The Silver Beaver award is the highest honor an adult volunteer can receive in a local Council. The Court of Honor MC was the incoming Council President, John G. Callahan. John is also the founding Scoutmaster of Troop 353 back on May 1, 1992. It was a very special evening for both the Callahan family as well as Troop 353 as seen in the photo above, as most of the troop’s prior and current Scoutmasters were present as well as a few Eagle scouts that started as Cub Scouts with Mr. Callahan! Congratulations to John Callahan and all his family! 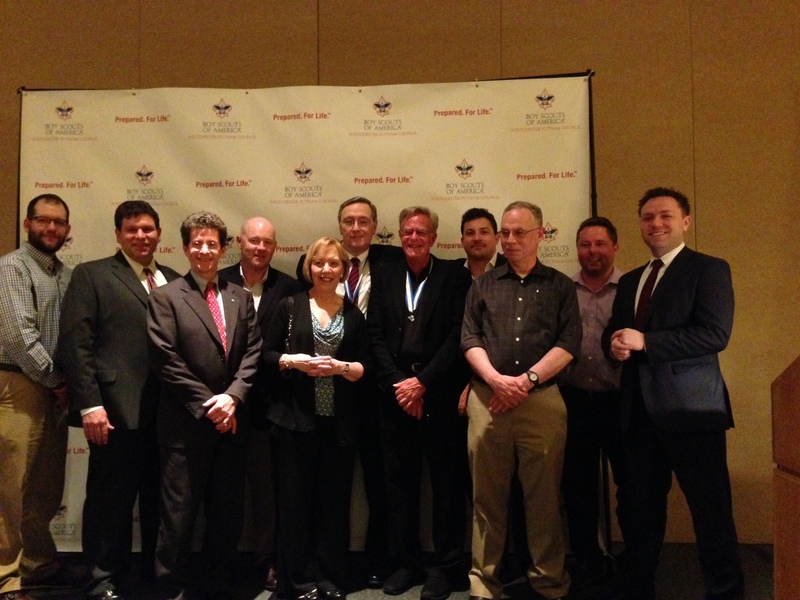 From left to right: David Kindberg (Eagle Scout, Cubmaster Tuckahoe Pack 7), Mike Occhicone (Scoutmaster 2011–2013), Tom McCandless (Eagle Scout, Scoutmaster 2006–2010), Dave Flannery (present Scoutmaster), Mrs. Lynn Callahan (current Pack 7 & Troop 353 Chartered Org Representative), John Callahan (Troop 353 founding Scoutmaster, Silver Beaver 1999), Richard Schraudner (Scoutmaster 1998-2002, Silver Beaver 2006), Matt Keller (Eagle Scout 1999), Don Wauchope (Scoutmaster 2002–2005), John Clark (Eagle Scout 1999, Scoutmaster 2005), Andrew Callahan (first Eagle Scout of Troop 353, 1997). Troop 353 Eastchester is blessed to have a wide array of talented young men with diverse interests. And this is best reflected in the breadth of Eagle Scout Leadership Projects our scouts pursue. Many Eagle Scout Leadership Projects entail either a repair job or a form of conversation work. Few Eagle Scout projects, however, have been more visible to the public or more badly needed than the one chosen by Matthew S. Over the years our troop has had a few various Eagle Scout projects within the Twin Lakes County Park, including the removal of invasive vines, the clearing of hiking trails and even the establishment of trail markers. The entrance to Twin Lakes park at the corner of California Rd and Highland Ave is an exceptionally busy one, with hikers, trail runners, dog walkers, cyclists, and even horse back riders. For many years, the entrance was heavily overgrown with weeds, invasive vines, and littered with trash, as seen in these pictures. And the area frequently flooded during heavy rains, due to the clogged runoff drains nearby. After extensive conversations with the County and local Eastchester authorities, Matthew finally was able to start work in late July (above photo, before) & finished by October (below photo, after). Bug spray during the warm months was imperative as were several outdoor tools and yard gloves. The group of hard-working scouts at this visible intersection did not go un-noticed–indeed at one point a gentleman (a total stranger) stopped by our worksite to drop off a case of bottled water. We quickly learned that the man was a scout when he was younger and, importantly, that the scout’s good deeds were not going unrecognized in the community. Matthew went above and beyond the call of duty in that he met with Eastchester Town Supervisor Tony Colavita whom arranged to have the nearby drains cleared out and to have a truck load of gravel dropped at the site; he also met with the owner of the local nursery Nature’s Cradle and arranged to secure several free plants and perennials; and he visited with the general manager of the nearby country club to see if there was an old large tree trunks available that could be made into a park bench (as seen at the right). The planting of the donated plants was done with a great degree of purpose and selection as raised garden beds were created with reinforced sidings and a wooden rail with deep posts was erected in the new garden, parallel to California Rd. 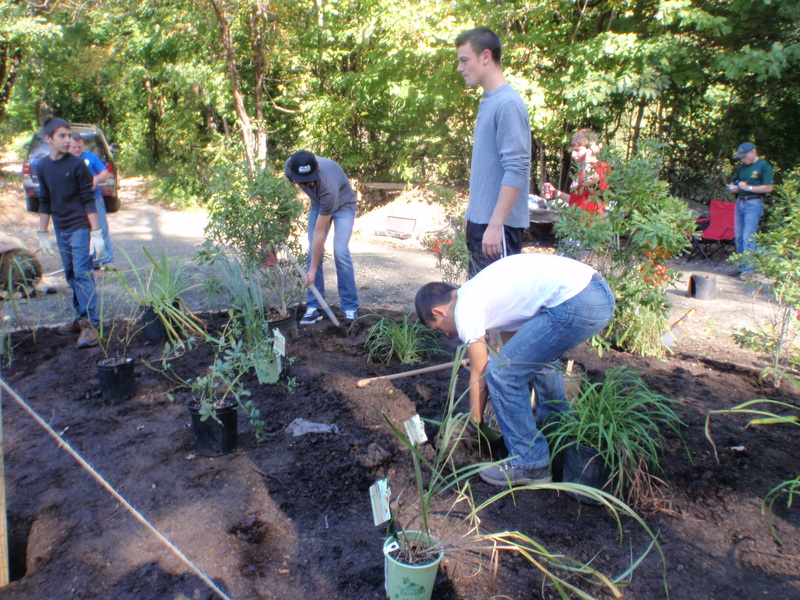 These extra efforts required power tools, a generator, the availability of several adults and lots of patience. 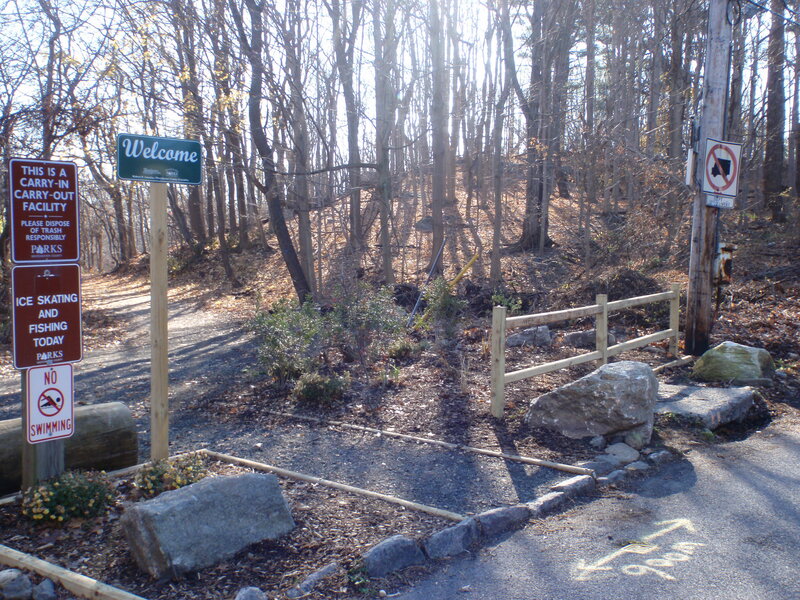 With a black magic marker, we wrote on the wooden fence: “an Eagle Project by Troop 353 Eastchester”. 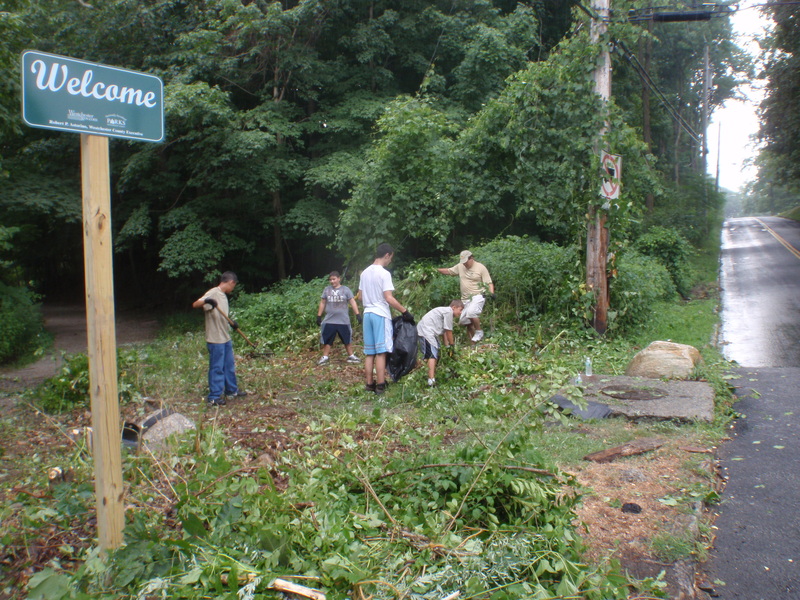 The troop is hopeful that other scouts from other local troops will carry on a tradition of keeping this popular entrance to Twin Lakes Park well-groomed while maintaining the selected plants and bushes. In the end, Matt’s Eagle Scout project received rave reviews by the many park visitors and an excellent overview in the local press. 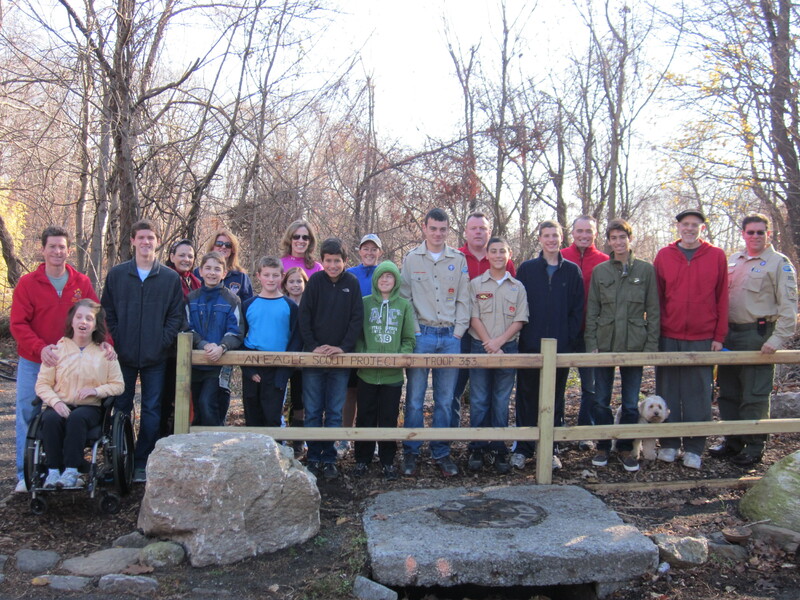 Eastchester Scouts Complete Twin Lakes Eagle Scout Project, P.6. 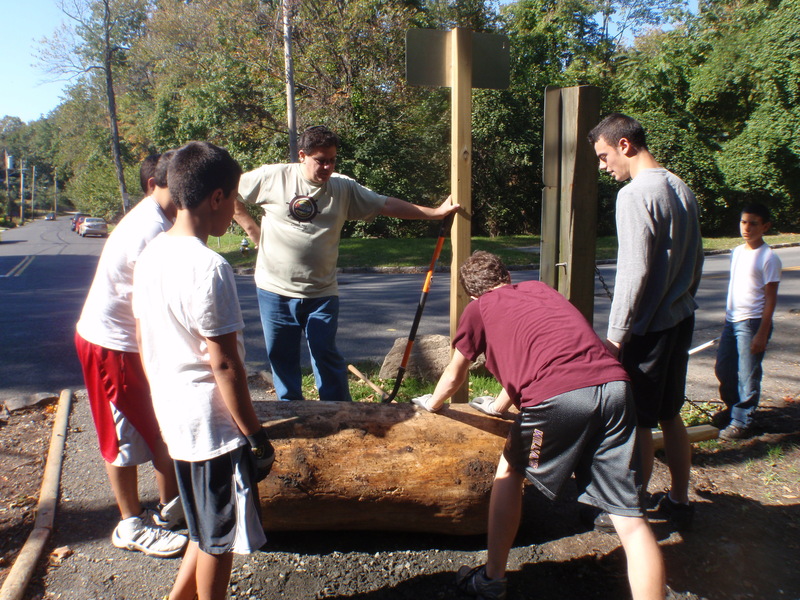 Other great pictures of his Eagle Project work days can be found here! 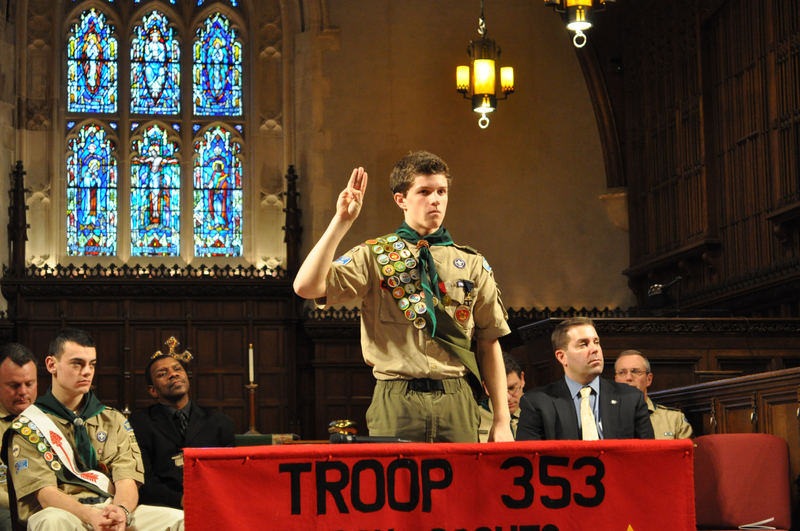 Six months later, Matthew S. experienced the highest award ceremony of all, the Eagle Court of Honor, the 23rd Eagle Scout for Troop 353 Eastchester. Not surprisingly, Mr. Colavita was a keynote speaker and reflected on Matthew’s can-do work ethic that was obvious even at a very young age when he coached Matt in Little League baseball. Several other dignitaries were present: Sheila Marcotte (Westchester County Legislator), Luigi Marcoccia (Eastchester Councilman), Stephen Quigley (Tuckahoe Village trustee & T353 committee member–Steve’s son David was Eagle Scout #21), Bob Foster (VFW), Michael Fix (American Legion). A very special gift was offered by Assistant ScoutMaster & SGM Michael I, on active duty in Afghanistan at that time. He ensured Matthew was presented with a special American flag that had flown on a predator drone on reconnaissance the day Matthew completed his Eagle Board of Review. Similarly, through the office of Congresswoman Nita Lowey, Matthew was presented with a second American flag that had flown over the Capitol building on the day of his Eagle Board of Review. Finally, several Eagle Scouts were in attendance, as could be expected, and each repeated their Eagle Scout Promise with Matthew during his ceremony. 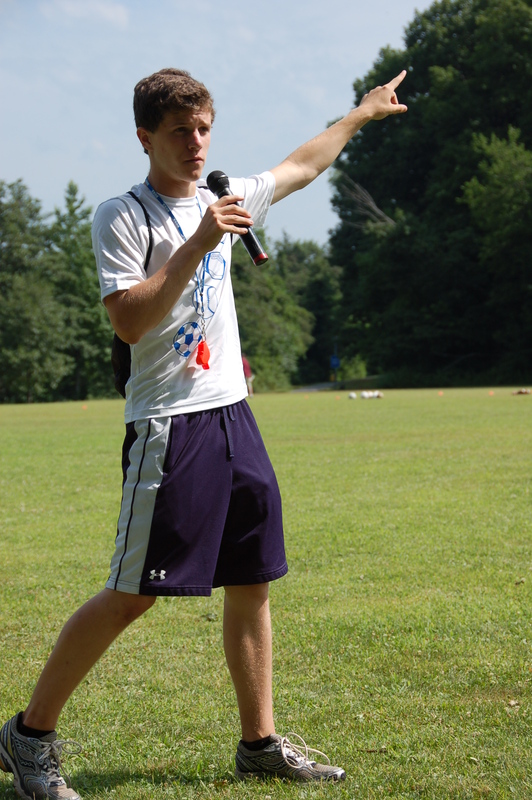 Like all Eagle Scouts before him, Matt has become a very accomplished scouting leader, has held every major youth leadership position, was elected to the Order of the Arrow and attended three high-adventure trips. Troop 353 is blessed to have averaged one Eagle Scout per year since its inception 20 years ago. 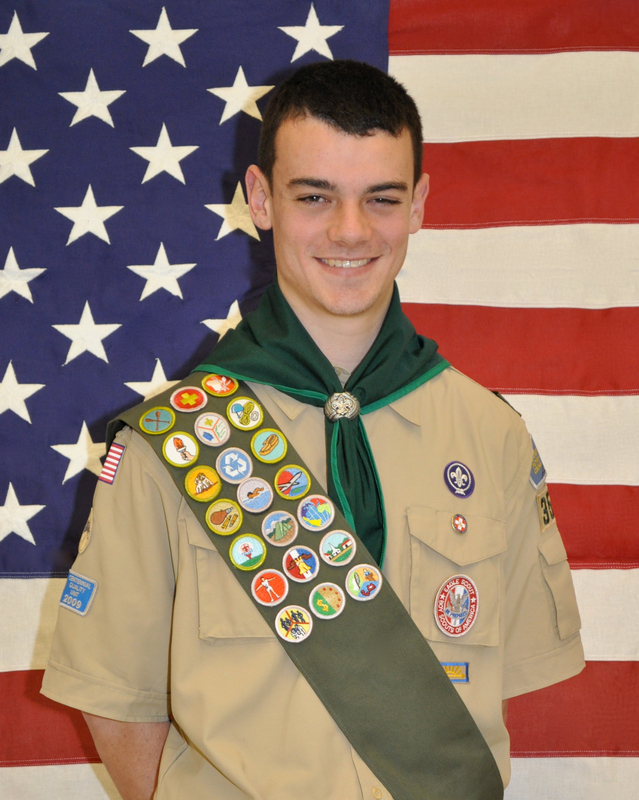 However, Matt is one of the first Eagle scouts to have completed all requirements at least 6 months before he went off to college SUNY in Cortland, NY. Accordingly, his presence at various scouting events as an Eagle Scout has been very beneficial for the younger scouts in our troop. Even though less than 4% of all scouts ever attain the rank of Eagle Scout or Life Scout, it is clearly not the ONLY yardstick of success in our troop. Importantly, what the adult leaders of troop 353 are striving to create is a rich and varied program that provides ample opportunities for ALL scouts to learn about the world around them, how to lead others, how to make strong moral and ethical decisions, to serve their community and fellow scouts cheerfully and to lead a healthy life style. Advancement per se is not a goal of the Scouting program. It is along the unique scouting trail, that many, many experiences of a lifetime are created for our boys and I am very sure that Matthew would vouch for the truthfulness of this statement as he reflects back on the richness of his special experience in Scouting! 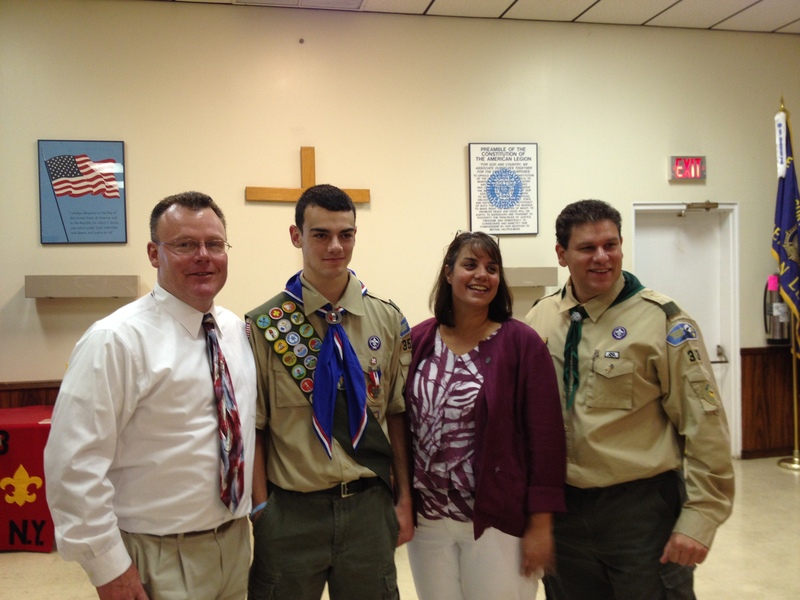 Congratulations to Matthew S., Eagle Scout! Eagle Scout Court of Honor — A Grand Celebration! 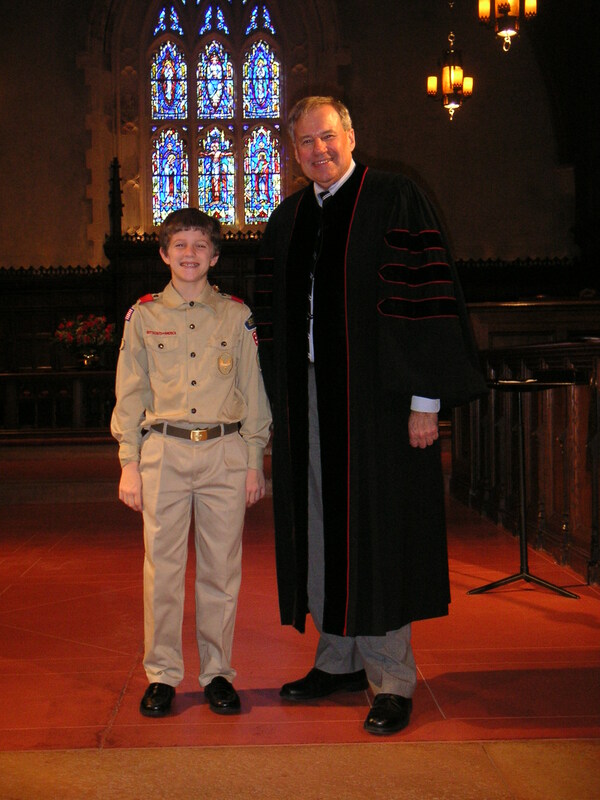 There are few Scouting events more impressive than the Eagle Scout Court of Honor (ECOH) and this was certainly the case on Feb 4th, when Troop 353 recognized its 22nd Eagle Scout, Brad M. This special celebration of Scouting’s highest honor was held at The Reformed Church of Bronxville, where Brad has been an active member all of his life. Indeed his devotion to his church choir mirrors that of his scouting career: he has been an active member of both for 12 years! It was perhaps fortuitous that his Eagle Court of Honor was held at this church, as he earned his very first Boy Scout Award (God and Church) during his first year of Boy Scouts in 2006 at this church from then assistant minister Rich Lichti. For his Eagle Scout ceremony, the current senior minister Dr. Kenneth C. Ruge, conducted the Invocation and it was discovered only a few weeks prior to the event that reverend Ruge is an Eagle Scout! Troop 353 was privileged to have several other special guests attend & participate in Brad’s ECOH: Mr. Marc Andreo (Sr. Scout Executive, Westchester-Putnam Council, Eagle Scout), Mr. David A. Pope (CEO of The Generoso Pope Foundation), Mr. Lowes Moore (Executive Director of The Boys & Girls Club of Mt. Vernon, ordained minister, former NBA player, and a scout) and Mrs. Charlene Lambrecht (Director of the Eastchester Community Action Program). Also in attendance were several political leaders that have always taken a serious interest in Scouting and whom also offered special proclomations and letters of commendation: Joe Mammana & Mike Fix (American Legion), Bob Foster (VFW), Sheila Marcotte (Westchester County Legislator), Joe Dooley (Eastchester Councilman), Steve Ecklond (Mayor of Tuckahoe) and Stephen Quigley (Tuckahoe Village Trustee & T353 committee member–Steve’s son David was Eagle Scout #21). And this list excludes a long list of Eagle Scouts from various troops. 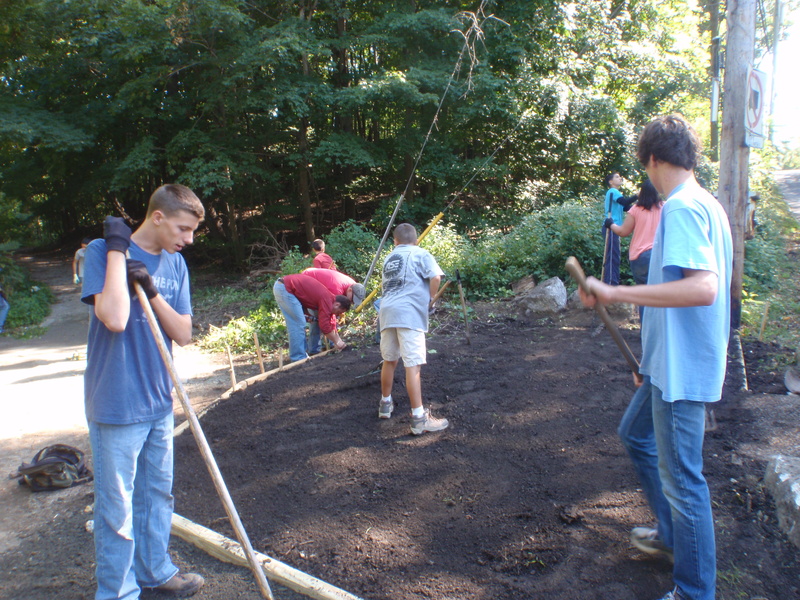 The official guidance in the BSA’s Eagle Scout Leadership Service Project Workbook clearly states that a leadership service project does NOT need to be original but Brad was determined to create a service project that would include a combination of health & fitness (initially it was baseball only–another 12 year commitment!) with that of benefitting those less fortunate economically in our community. 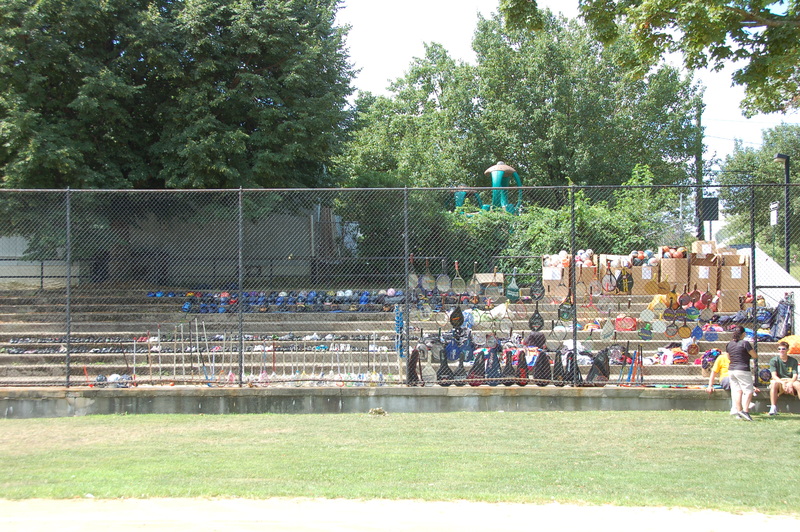 Ultimately, the idea of a “gently used” sports equipment drive to benefit the children of The Boys & Girls Club of Mt. 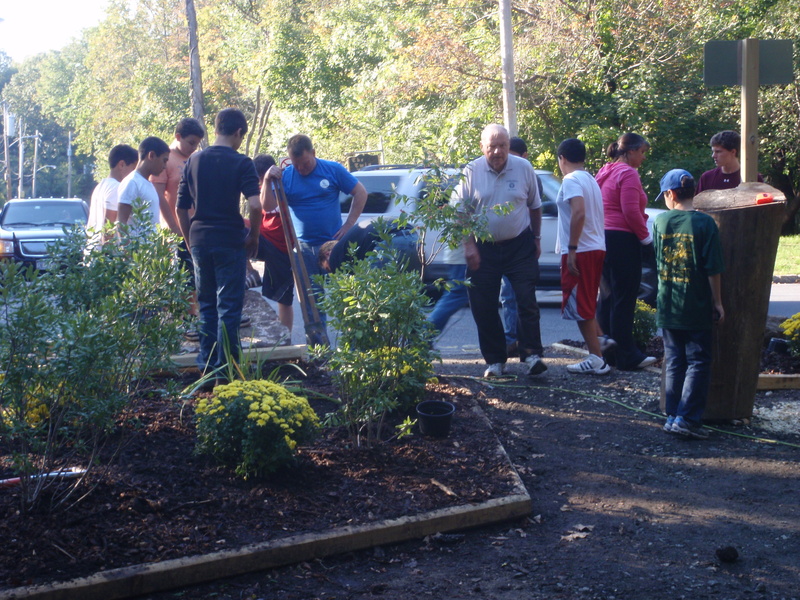 Vernon and the Eastchester Community Action Program evolved. A massive marketing campaign for the used sporting goods was implemented throughout the community for 6 weeks. The gear drive would eventually culminate in a “Sports and Fitness Day in Tuckahoe” at Parkway Oval and over 75 children participated in organized sporting & fitness activities, which included basketball clinics led by the renowned varsity coaches of Mt. Vernon High School. The Generoso Pope Foundation generously donated customized performance t-shirts (created by Brad) as well as a DJ to add an element of festivity to the occasion. Scouts were involved with the monitoring of the boxes used during the gear drive in 8 locations, the cleaning and organizing of +1700 sporting items, and the preparation of the park for the event as well as 100 lunches and the actual leadership of each organized sporting activity during the event. At the end of the day, the children were surprised when Brad announced that all the assembled gear was to be given away. Each kid took home at least 3 or 4 sporting items that day and the remaining gear was dispersed throughout the two beneficiary organizations. To this day, the two organizations continue to utilize this sports gear in an effort to promote a healthier lifestyle for children. This big sporting event was well-covered by the media and reflected exceptionally well on both Scouting and our troop. There are many wonderful pictures of very happy & active kids during Brad’s Eagle Scout Leadership Project, which can be found by clicking here! Like all Eagle Scouts before him, Brad has become a very accomplished scouting leader, has held every major youth leadership position, was elected to the Order of the Arrow and attended three high-adventure trips. 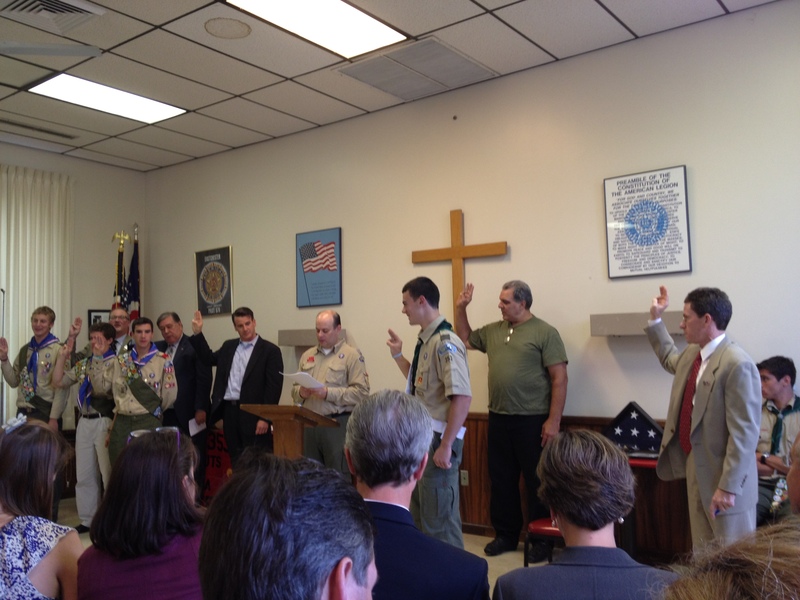 Troop 353 is blessed to have averaged one Eagle Scout per year since its inception 20 years ago. However, Brad is the first “early” 17-year old Eagle scout in many years as the past several Eagle scouts have tended to be off to college as soon as they become Eagle scouts and thus the rest of the scouts do not benefit as much from having an Eagle Scout around for assistance. Brad is currently involved in planning the troop’s upcoming high-adventure trip to Colorado in August and continues to participate in various community service events. Scoutmaster Mike Occhicone noted in his speech during the ECOH how Brad always challenged himself and that his efforts hopefully would positively influence his fellow scouts to do the same. Thus, the challenge has been made by Brad for all his fellow troop mates to obtain the rank of Eagle Scout before they turn 17 years old. Though Brad will be heading off to Northwestern University in Evanston, IL in September, he has vowed to continue to try and live his life using Scouting principles. Even though less than 4% of all scouts ever attain the rank of Eagle, it is clearly not the ONLY yardstick of success in our troop. Importantly, what the adult leaders of troop 353 are striving to create is a rich and varied program that provides ample opportunities for ALL scouts to learn about the world around them, how to lead others, how to make strong moral and ethical decisions, to serve their community and fellow scouts cheerfully and to lead a healthy life style. Advancement per se is not a goal of the Scouting program. It is along the unique scouting trail, that many, many experiences of a lifetime are created for our boys and I am very sure that Brad would vouch for the truthfulness of this statement as he reflects back on the richness of his special experience in Scouting! Congratulations to Brad M., Eagle Scout! More great photos of Brad’s recent Eagle Court of Honor can be found here! Author scoutmasterPosted on February 26, 2012 April 29, 2012 Categories Activities, Advancement, Community Service, Court of Honor, Eagle Scout, Merit Badges, Photos, Service ProjectsLeave a comment on Eagle Scout Court of Honor — A Grand Celebration! 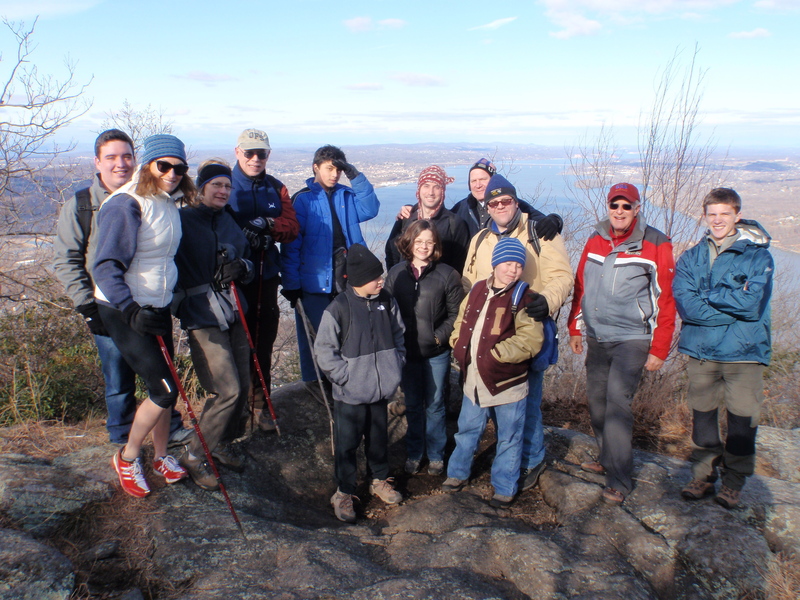 During the yearend holidays, the troop arranges a hike with many of its Eagle Scouts that might be home from college, as well as those that have since graduated and still live nearby. Too, the invitation list is not restricted to Eagle Scouts exclusively–all former scouts and/or their parents are welcome! And that was the case in 2012 as a few parents participated without their sons! This short hike is a terrific opportunity for younger scouts to mingle with Eagle Scouts and learn first-hand how & why these boys made it all the way to Eagle Scout (or Life Scout, etc). The influence of a 22 year old on a 13 year old scout is far greater than any Old Goat! There are a few hikes in northern Westchester County that are favorites, however, winter trail conditions can preclude certain hikes. One that is nearly always accessible is Storm King Mountain, just north of West Point in the scenic Hudson Valley. This year our group of hardy hikers opted for a longer hike, crossing a valley prior to climbing and encircling the cap of Storm King and then returning returning. Still, we managed to make it to the northern side of the mountain for a brief lunch in the gusty wind. Down below, parts of the Hudson River were visibly frozen and one could see Banneman’s Castle in the distance. There are numerous scenic overlooks on this short hike that have helped make this one a Troop 353 Eagle Scout Classic! 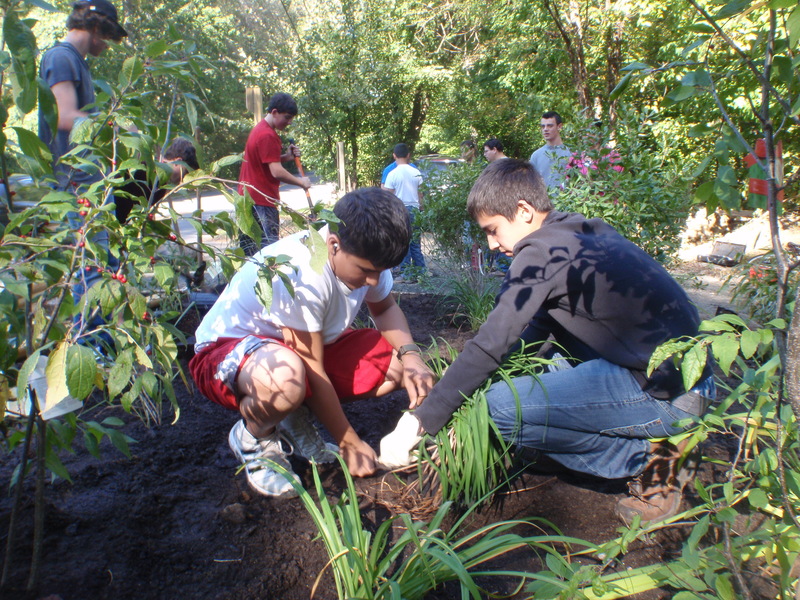 Welcome to the Website of Troop 353, Eastchester, New York! This site is for Scouts, Leaders, and Parents to use in planning and furthering their enjoyment of scouting. Our troop meetings are held at the Tuckahoe Community Center, 71 Columbus Ave., Tuckahoe, NY every Sunday evening 6:30-8:00pm. Any boy (and his parent) residing in greater Eastchester and surrounding communities ages 11-17 interested in a challenging yet exciting and varied 12-month outdoor scouting program is encouraged to visit our troop meeting at any time. Contact Scoutmaster Rich Vonhout from the “About Us” page. Click here to visit our Troop calendar on Google. Get the Google Calendar widget and many other great free widgets at Widgetbox! Troop 353 Eastchester, NY Create a free website or blog at WordPress.com.